Everyone in the ordinary world is asleep. Their religion—the religion of the familiar world—is emptiness, not religion at all. Along with Hakim Jami, Hakim Sanai remain the most admired and loved Sufi from Afghanistan. 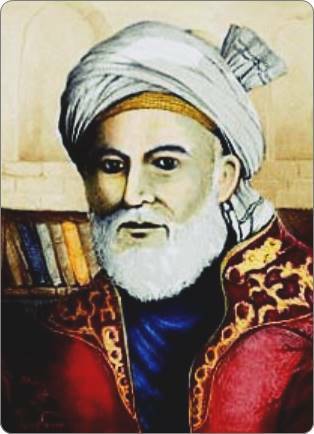 Hakim Sanai wrote an exceptional number of Persian verse and was known for his mastery of words. The Walled Garden of Truth (also called The Hadiqat al Haqiqa or simply Hadiqat) is a book of mystical Farsi poems, in which Hakim Jami has explained many themes of Islamic philosophy and mysticism via use of stories and analogies. Mevlana Rumi, the greatest of Islamic mytics, acknowledged Hakim Sinai as one of his inspirers, along with Fariduddin Attar. Sufis is a subject that is difficult to convey in words, but Hakim Sanai shows exceptional ease over narrating difficult concepts in beautiful examples and stories. Read more Sufi Quotes by Hakim Sanai here. Previous story Hazrat Khwaja Moinuddin Chishti on Imam Hussain R.A.